Today, Lechwes survive mainly in and around protected areas and game reserves. Red Lechwe occur in the Moremi G.R. and Chobe N.P. (Botswana), Sioma Ngwezi, Liuwa Plains and Kafue National Parks, and the West Zambezi and Kasonso-Busanga Game Management Areas (Zambia), Kameia N.P. and the Luando, Mavinga and Luiana Game Reserves (Angola), and the Western Caprivi G.R. and the Mahango Game Park (Namibia). Kafue Lechwe occur only in Lochinvar and Blue Lagoon National Parks, both Ramsar sites, and the Kafue Flats Game Management Area in Zambia. 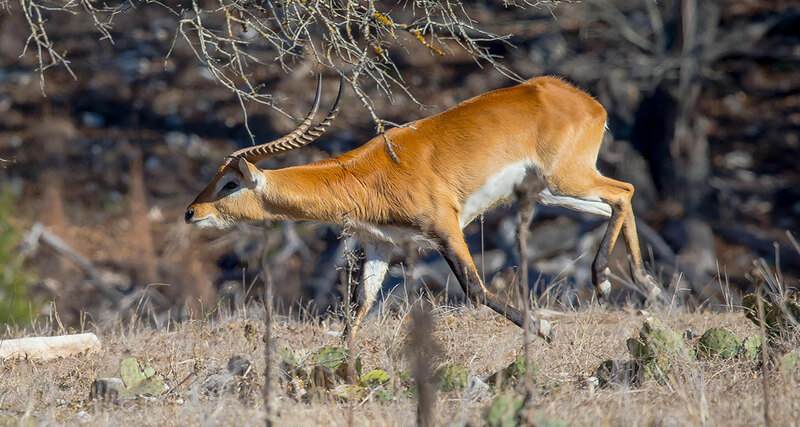 Black Lechwe occur only in the Bangweulu Game Management Area, and the Kalasa-Mukoso Game Management Area, while the Upemba National Park is the only known protected area refuge for the Upemba Lechwe. The long-term survival of the lechwe in the wild is totally dependent on the effective protection and management of its remaining populations and their wetland habitats in a few critical areas, in particular Bangweulu (Black Lechwe), Kafue Flats (Kafue Lechwe), Okavango, Linyanti, Busanga and Caprivi (Red Lechwe), and Upemba N.P. (Upemba Lechwe). A signi cant proportion of the species’ total numbers occurs outside national parks and game reserves (>80% for the Red Lechwe). It is therefore likely that both revenue generation through sustainable offtake by sport hunters which capitalises on the species’ value as a trophy animal and the development of sustainable harvesting to provide meat for local people, e.g., in Bangweulu and Kafue Flats, will play an increasingly important role in the conservation of lechwe populations (East 1999). Populations of Lechwe are maintained in captivity.